Outside & inside prisons, jails, and detention centers everywhere. Noise demos outside of prisons in some countries are a continuing tradition. 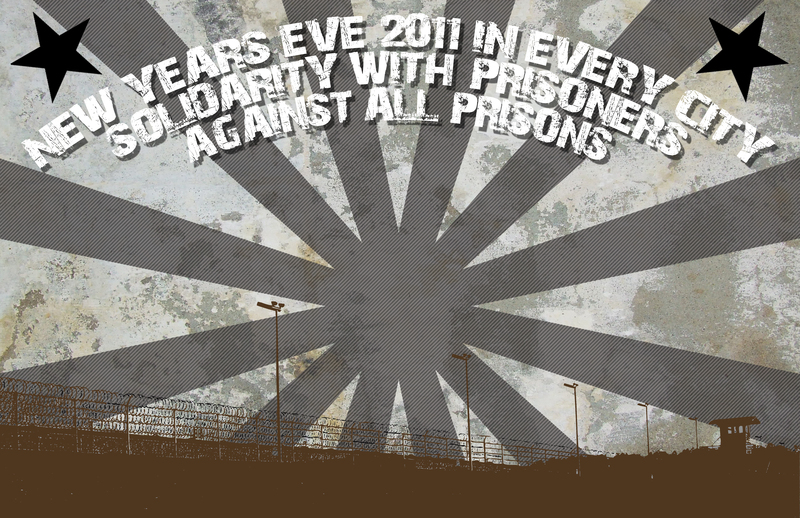 A way of expressing solidarity for people imprisoned during the New Year, remembering those held captive by the state. A noise demo breaks the isolation and alienation of the cells our enemies create, but it does not have to stop at that.Prison has a long history within capital, being one of the most archaic forms of prolonged torture and punishment. It has been used to kill some slowly and torture those unwanted – delinquents to the reigning order – who have no need of fitting within the predetermined mold of society. In memory of those currently imprisoned. This entry was posted in Communiques and tagged Canada, International, Prison, United States. Bookmark the permalink.